84 (Coventry Airport) Squadron Air Training Corps: All in a Weekend's Hard Work! Over a windy weekend in December, Air Cadets from 84 (Coventry Airport) Squadron worked hard helping to pack bags in Sainsbury's raising a staggering £1779 to help fund the exciting and diverse activities planned for 2014!! The Cadets from 84 Squadron, based at Coventry Airport, have become festive regulars at their local Sainsbury's store in Kenilworth earning them an excellent reputation for their smart appearance, professional manner and dedicated work in assisting Christmas shoppers to pack their bags. Cadets manned the tills all day both Saturday and Sunday earning themselves a whopping £1779.87 which will be used to fund special projects such as a kayaking taster weekend, provide essential equipment for adventure training activities as well as contribute towards the upkeep and maintenance of the highly valuable Squadron-owned minibus which transports the cadets to and from their exciting adventures. 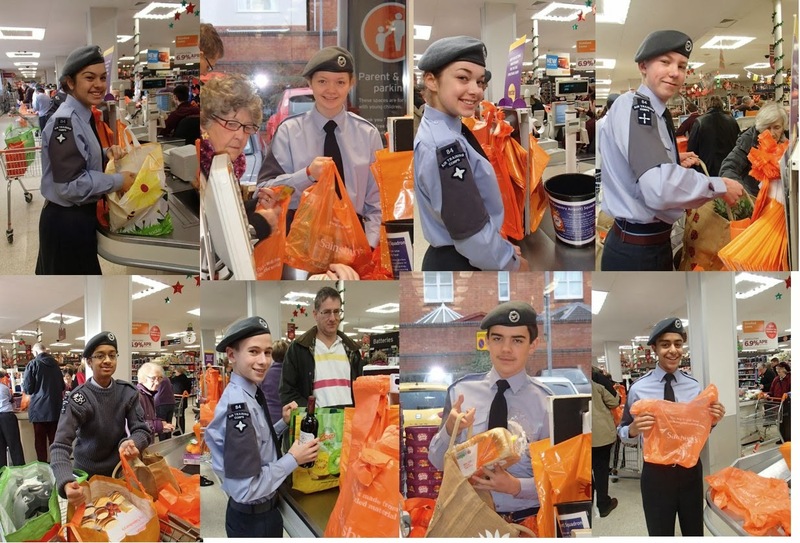 Cadets and staff from 84 Squadron would like to thank Sainsbury's for allowing them in store at such a busy time and look forward to future fundraising events in 2014.